Denia offers a wide range of properties for sale to suit all tastes and budgets. The Marquesa and Montgo areas, on the slopes of the impressive Montgo Mountain, offer villas for sale in elevated locations that command impressive sea and mountain views. The Santa Llucia, San Nicolas and Las Rotas areas, south of the town centre, offer villas and apartments situated in tranquil residential locations close to good schools, the beach and the town centre. The Las Marinas area, north of the town centre, specialises in holiday accommodation with modern apartment complexes and urbanisations located close to the wide, sandy beach which stretches for 10km from the harbour to Les Deveses. The Centro Urbano offers property buyers apartments and town houses in the centre of this thriving Spanish community. Although cosmopolitan in nature Denia has not lost its Spanish heart which is why it has attracted a large multi-national ex-pat community. Unlike other towns, Denia does not close down during the winter months and its facilities and amenities are all located close together. The port with its fishing fleet, car ferry to the Balearic Islands and yacht marina is located at the end of the main street, the Marques de Campo, with its boutiques, cafes and restaurants. Close by is the old town, the Fisherman’s Quarter and Calle Loreto, with their quaint, narrow streets, craft shops and bustling tapas bars and restaurants. A short walk beyond the old town is the commercial centre with its large shops and supermarkets. El Mercado (the Market) is open six days a week selling fresh meat, fish, vegetables, bread and cured meats like Iberico ham. All these urban environs are overlooked by Denia’s impressive castle. 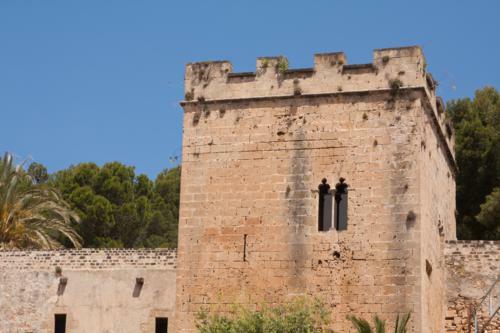 The castle was built by the Moors in 11th and 12th centuries and now holds El Museo Arqueológico which traces Denia’s history from Roman times and displays artefacts found in the surrounding area and the sea. Other museums in the town are the toy Museum which reflects Denia’s importance in manufacturing wooden toys in the early 20th century, and the Ethnological Museum on Calle Cavallers which traces the once important industry of raisin production and its links to English merchants. 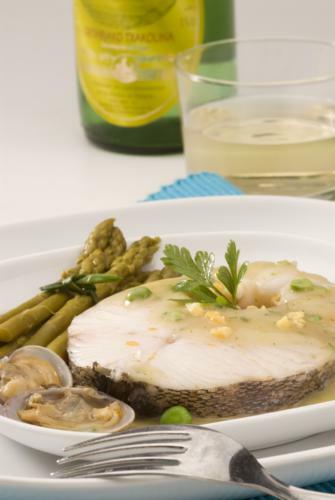 Denia’s compact urban centre has a plethora of fine restaurants. There is a rich selection of international cuisines – Indian, Chinese, Italian, German and British. Denia’s fish restaurants rightly have a great reputation with fresh fish caught by the local fleet landed and served daily. 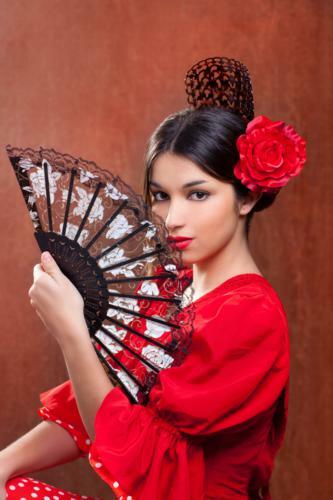 Tapas Bars are popular and of course this part of Spain is the birth place of paella. Traditionally, this rice dish is served with meat and vegetables but there are sea food varieties as well. Another popular and tasty rice dish is Arroz Abanda which is rice baked with fish stock – it is delicious. During the summer there are several paella competitions when local societies cook giant paellas in the streets. Denia enjoys a wonderful climate. The summers are hot but sea breezes, particularly in the afternoons, cool you down. During the evenings the town comes alive as people enjoy alfresco dining on the streets outside the bars and restaurants. This is one reason why town centre apartments and townhouses are popular with overseas property buyers. Spring and autumn are warm and dry with the occasional downpour – that is why it is so green here. The winters can be cool especially in the evenings although not as cold as the winters in the UK or northern Europe. There is a myriad of activities to keep everyone occupied whether living here full time or just on holiday. 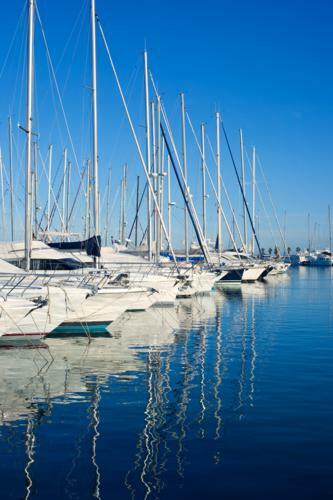 Located beside the sea, Denia is ideal for the pursuit of water sports. There are two large marinas with restaurants close by, one in the port which abuts the town centre and the other less than 1km away south beside the Club Nautico (Yacht Club). Yachts and motor launches can be hired to visit the dramatic coastline south of the town. Wind and kite surfing are very popular as well as water skiing and jet skies. The shallow underwater canyons of Las Rotas and the marine reserve offer ideal snorkelling and scuba diving. The landscape is dominated by the Montgo Mountain and there are many trails along its slopes that give the walking fraternity superb views across the bay of Valencia. Climb to the top of the mountain and see the beautiful valleys and mountains of the hinterland. There are numerous walks and trails across the Montgo National Park. A coastal pathway runs from the Marina de Denia to the cliffs at La Cala in Las Rotas. Denia boasts some of the best sandy beaches on the Costa Blanca, 20km of which stretches unbroken from the harbour and fishing port to Gandia. Denia’s central position on the coast is an ideal base from which to explore the other coastal resorts and the beautiful mountainous hinterland. Whether you are buying a family home, a place to retire to or a holiday home in the sun Denia has something for everyone.